Infinity Music Hall is more than just a concert venue – it’s an entertainment & dining experience. Both of our unique Connecticut venues are dedicated to bringing you the artists you want to see, in an intimate environment without a bad seat in the house. Each location also has a four-star bistro and bar on-site, offering creative dishes and casual favorites in the Contemporary American style. 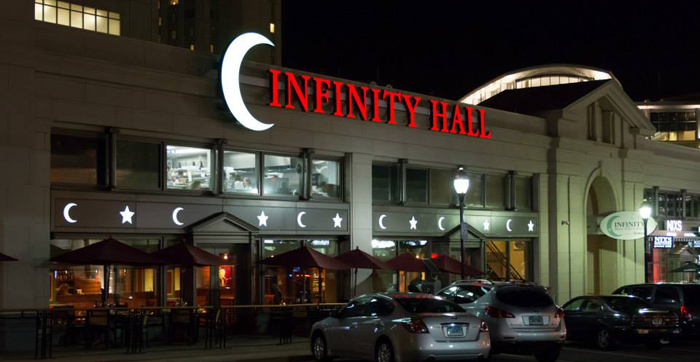 Every night out at Infinity Music Hall is sure to be an unforgettable one. We are a single source solution company from complete engineering to design and maintenance of your fire alarm system. JAC Technologies is always keeping abreast of the latest technologies that will safe guard your facility.